1 – Pre-heat the oven to 200C/Gas Mark 6. Place the sweetcorn onto a baking tray and roast for 30 minutes. 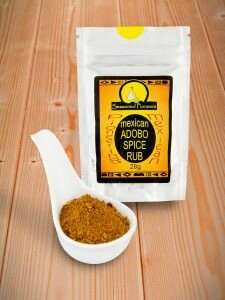 2 – To make the butter, mash the butter, spices and herbs together until thoroughly combined. Grate in the zest of the lime and combine with the lime juice. Season with freshly ground black pepper and salt. 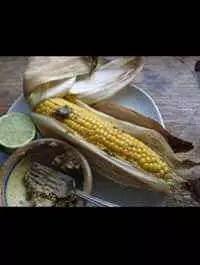 3 – Rub onto the hot corn and eat.